About — BAR CART COCKTAIL CO.
garnishing drinks with lavender grown at our farm. photo by Evynn LeValley. 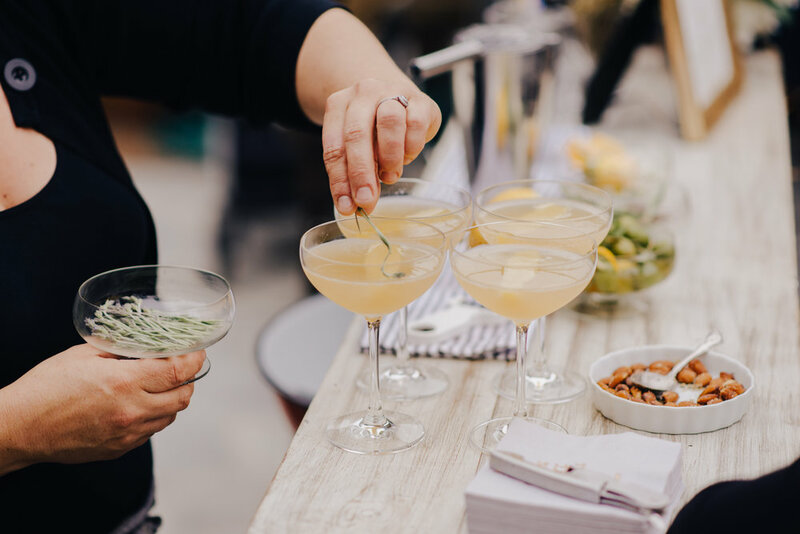 Katie Shea started Bar Cart Cocktail Co. in 2012 with the idea that drinking cocktails should start with the same philosophy used when preparing a meal; fresh from the farm and with the seasons. Katie is a native to Carmel Valley, California and studied Agriculture at California Polytechnic University at San Luis Obispo. With 15 years of professional experience in organic farming, herbal wellness, organic food and beverage production and hospitality - she brings a garden to glass approach to her clients and concepts. Bar Cart Cocktail Co.'s beverage team consists of the most personable and professional local bartenders and sommeliers with deep roots in the service and hospitality industries.